December 13, 2010 – Heather and her mother Barbara, who is visiting from Wetaskiwin, just went into town to see Berta, our seamstress who will be making some curtains for us. After that they will be off to the printer to agree or disagree with the new business card design, hit Colchorama to buy a new mattress, and stop at the store to pick up a few necessities. 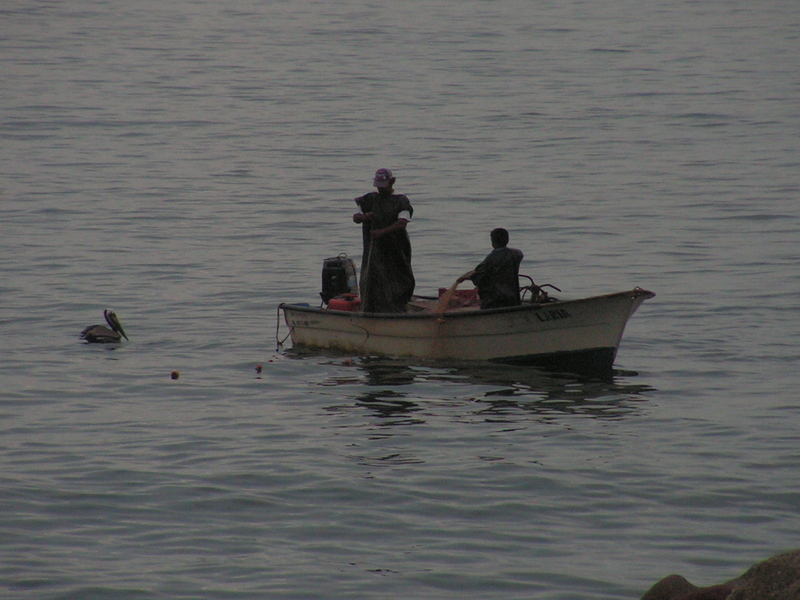 Everyday life here in Vallarta. Not much different from Canada, NOW! When I think back to that first day after we arrived and realized we had absolutely no idea what to do about anything I marvel at how far we have come in such a short time…. November 17, 2008 – First morning in our new home. We had hit the grocery store the night before to get a few groceries so we would have the some of the important things in life like food and of course, coffee! So we made some coffee and Heather set about trying to make breakfast. The condo we owned was not the largest, about 450 square feet, but it was purchased with retirement vacations in mind and was mainly an investment. When we bought it we had no idea we would be living in it full-time 2 years later. So of the 450 square feet, about 10 of it was the kitchen. There was no stove, only a hot plate so Heather plugged it in and started trying to fry some eggs. She put the pan on the burner and cracked the first egg. She then felt her right hand go numb. Figuring that she had hit it on the side of the counter she cracked another egg and then as she her hands got close to the frying pan both arms went numb. It was then that we realized that there was something seriously wrong with this appliance so she got a plastic spatula and removed the plug from the wall. I carried the offending item outside to the garbage. Well ok, what do we do now? We had brought a new hot plate with us from Canada so it was unpacked and put into use. Well we at least tried to put it to use. It was a three prong plug. There were no three prong outlets in the entire condo. They were all two. 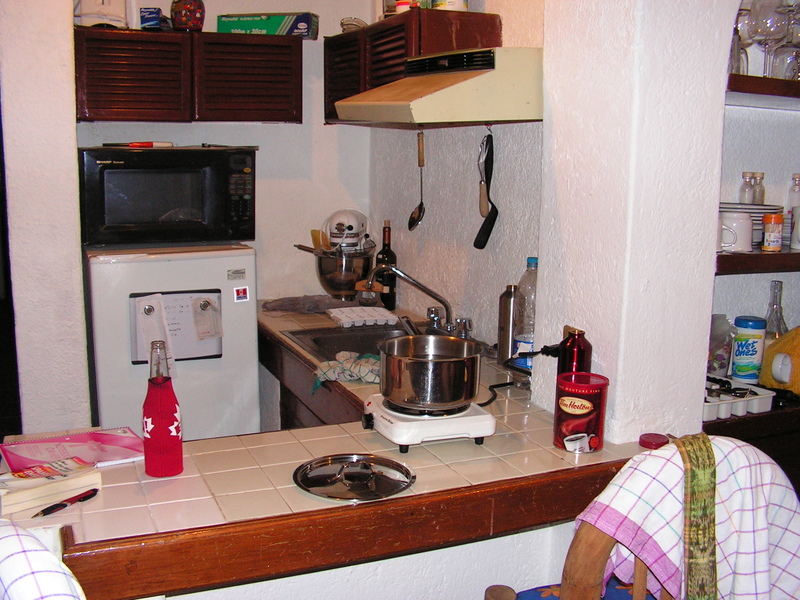 Apparently grounding was not big in Mexico in the eighties when the condo was built so we were going to require an adapter to plug the hot plate in. Microwaved eggs it was and they were delightful. Well not really but hey when you are hungry you make do. After breakfast we thought we should head out and see our property manager who had been taking care of the condo for us. His office was on the other side of old town. It was a nice day, the sun was shining so we decided to walk. We were noticing that a lot of the small family run stores that we passed were closed. It was then we found out that it was a holiday celebrating the Mexican Revolution. Well we were three-quarters of the way to his office so we kept going only to find it locked up tight. That took us 2 hours and we were soaking wet and wilted from the heat. Just not used to it. So down the hill from his office to a sandwich shop for something cold to drink and a snack. We hopped on a bus from there and hit Wal-Mart to pick up some converter plugs so we could plug in the hot plate and few other things that we needed. The next day we returned to the property managers office, however this time we went by bus, so we smelled a lot better! Not in today. Oh well at least we could get an appointment. 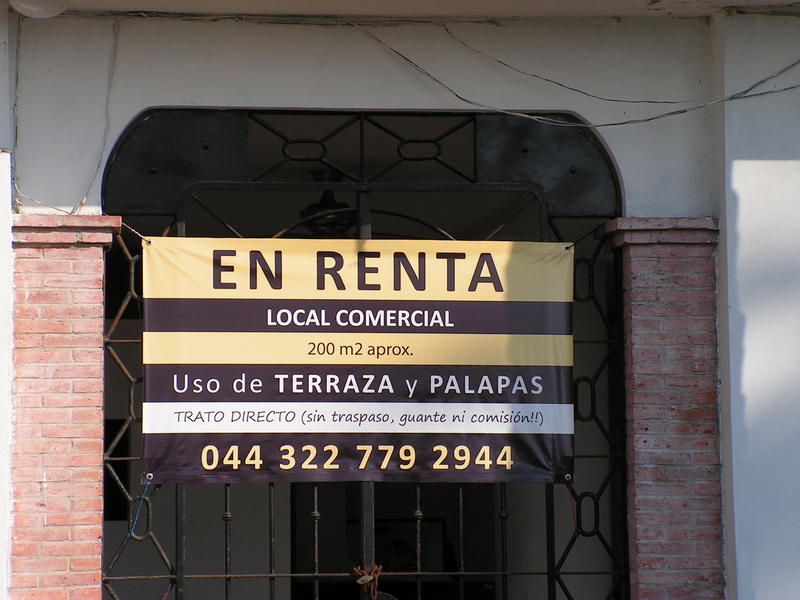 As we were standing outside of his office enjoying the view of the Bay of Banderas below us I noticed that across the street was the realty company that our favourite rental agent had gone to work for so we thought we would drop by and see if he was in. Nope, out. Well, 2 for 2. Well what shall we do now? We were standing the company’s parking lot deciding that, when a car backed in and two people got out. I recognized one, William Michael, who had shown us the condo next door to ours when he had it listed for sale. He had been sending me email since then which always had his picture attached. As I asked if it was him, the other man said I know that voice, that’s Kevin. I had spoken to Robert about 5 times the last time we were in town about rentals and I was kind of surprised, I never thought of my voice as distinct. Either way it was nice to see faces we knew and to finally make a connection with someone. We made dinner plans for the following week and let them get back to work. Since that time they have become some of our very dear and close friends. 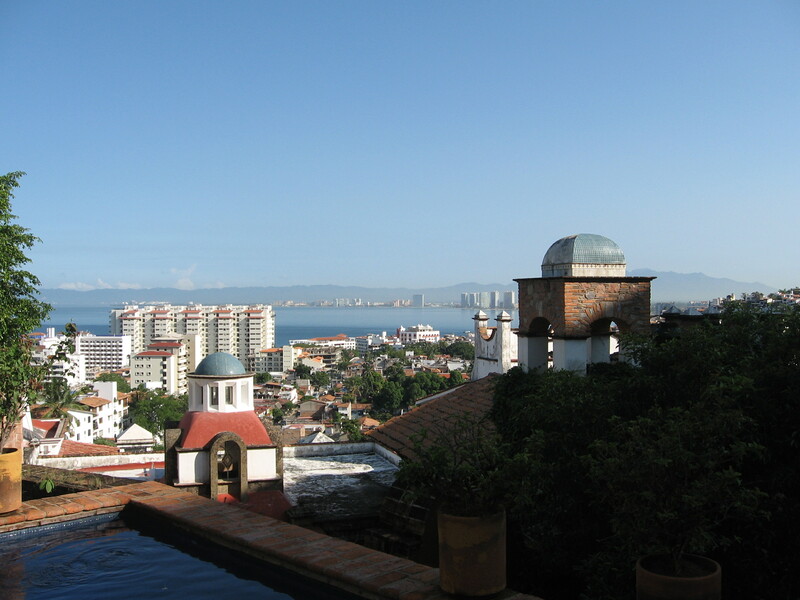 And they still handle real estate and rentals for us through Vallarta Escapes. Later that night we were sitting in our living room watching the movie SWAT on TV in spanish. It was warm in the condo, 24 degrees, and no breeze so we were both sitting there waiting for the oscillating fan to blow our way. Our condo had absolutely no flow through ventilation so a fan or air conditioning was in order. We could not use the living room a/c unit as we used it on Sunday night and after 20 minutes water started pouring out of the unit. That was a little frustrating so it was at this moment unusable and one of the items on our list of things to talk to the Property Manager about. We had hired the Property Manager very quickly after buying the condo as we needed someone to pay the bills and look after the rentals. We had already decided that we would relieve ourselves of him at the end of the year but there were a few things we needed done first. The air conditioner needed repair, we needed a new toilet as the old one just was not working properly and we needed internet. He is a nice man and was good at his job, bills were paid and things were looked after. He was hard to get to see sometimes when we were in town but we always did get to see him. He loved to talk and we got a lot out of those talks. We listened and realized that it may take persistence but we could do a lot things our selves it would just take time. We look back on those times fondly because without him we would not be where we are today. He introduced us to Robert, the best rental agent in the bay (and the only one who could rent our condo) and Lupe, the fastest and best damn housekeeper we have ever seen. We met with him the next day at the appointed hour, 10:00 Am for our usual 3 hour appointment. We discussed the state of the economy, what it is doing to business in Mexico, what is happening with our condo, what needs to be repaired and what needs to be paid. He asked if we had gone to immigration here in town to register and let them know we were here. We had not but we said we would. We left his office at 12:30 and headed for our favourite beach restaurant, The Lazy Lizard. Author Kevin WoodPosted on December 13, 2010 Categories Starting new lifeTags Canada, Condominium, Mexico, PRWEB, Puerto Vallarta, Wal-Mart, Wetaskiwin1 Comment on The Journey to Casa Madera – Ok, We’re Here, Now what do we do? 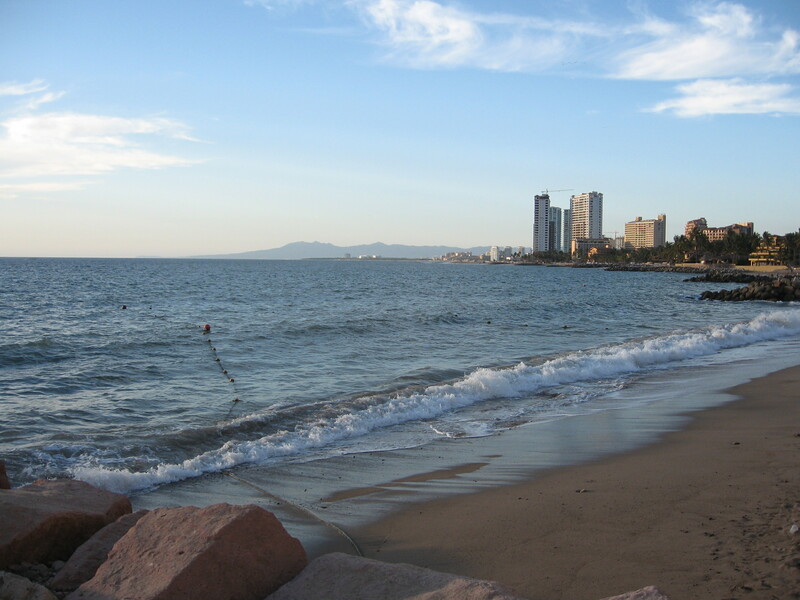 The Journey to Casa Madera – Puerto Vallarta, our new Home! 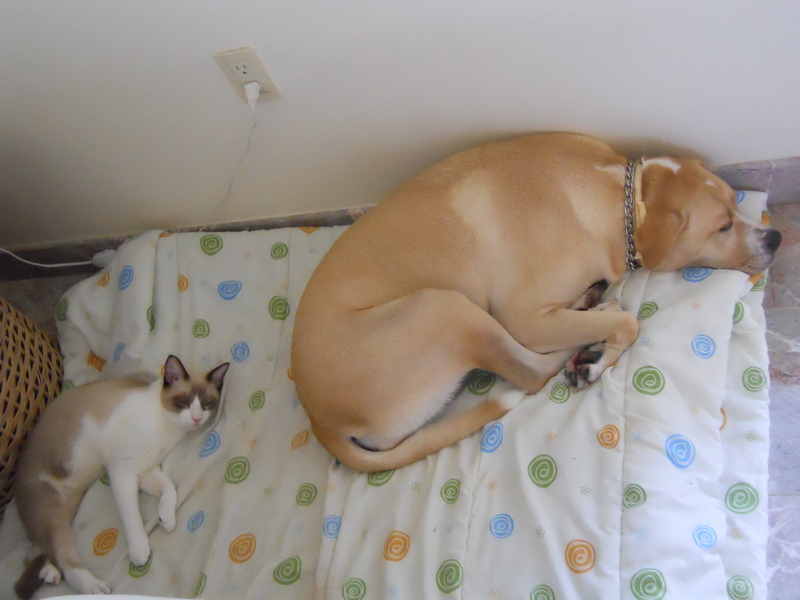 December 7, 2010 – A month ago we sent our dog, Alexa, to training school. She was good dog but we had bad dog owner habits that had made her a leader in the household instead of the 4th in line behind Heather, myself and Zorro the cat. This needed to be corrected so she got a month’s vacation with Carlos at Dog Tag training. The final stage of this training is training us on what to do and how to handle her. This entails us going into Vallarta everyday this week for that training. 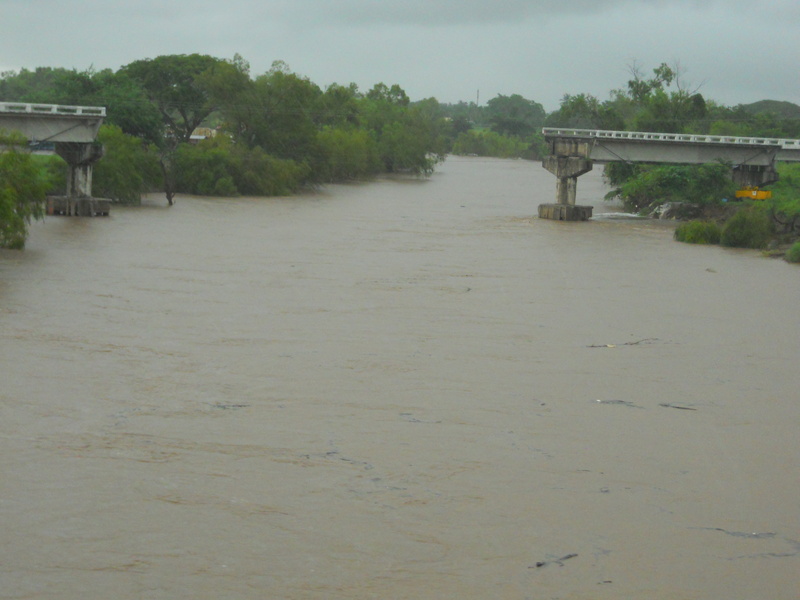 That can be a challenge at this point in time to say the least as on August 31, 2010 heavy rains washed out one of the bridges over the Rio Ameca which divides the two states, Nayarit and Jalisco. This has caused quite the traffic mess as people work of both sides of the river and go back a forth a lot. 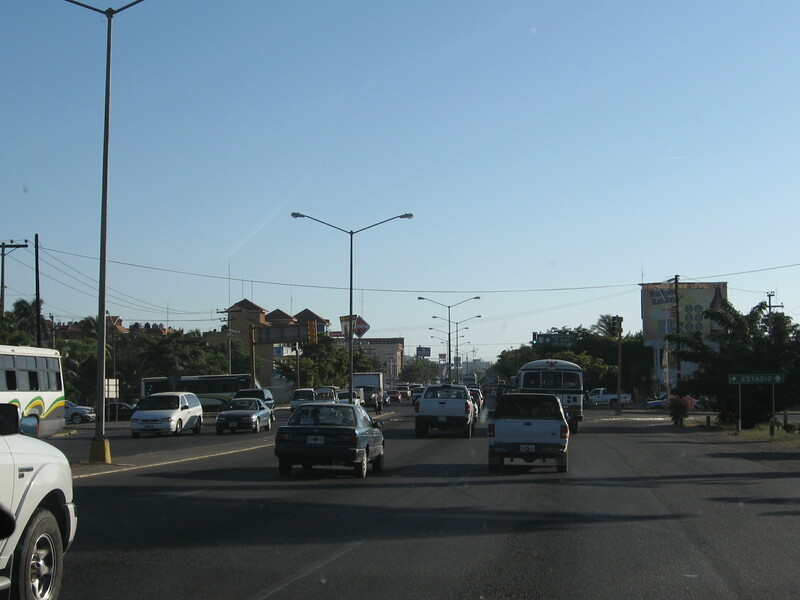 This is also the highway that goes to Tepic. 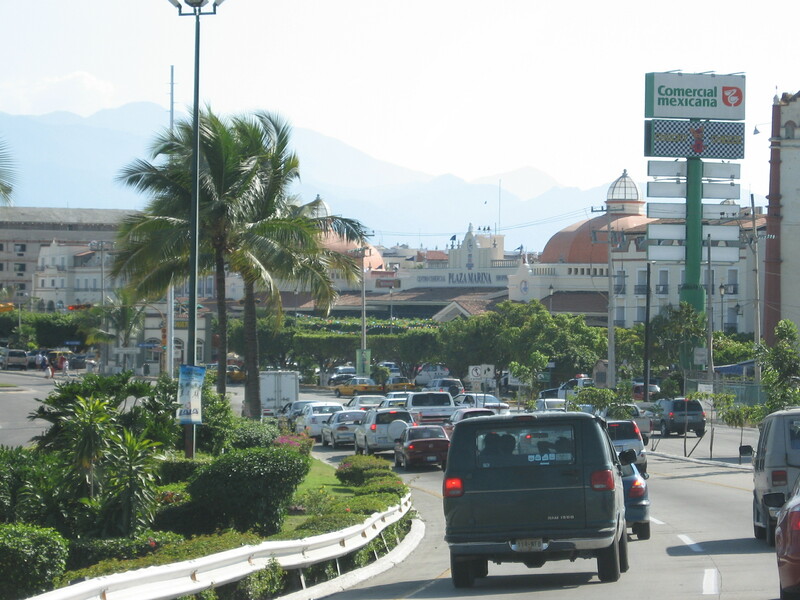 Needless to say there have been days when we sit in a traffic line up for an hour just to cross the river and because of this we only went into Puerto Vallarta when we had to. This all changes tomorrow at 11:00 AM as they have finished rebuilding the bridge and traffic will once again flow smoothly between the two populated areas. Fifteen weeks from the date the bridge went into the river, it has been replaced. They worked 24 hours a day to get it done. It is truly an amazing accomplishment. But I digress…. One of the main things we like to do when we are on the other side of the river is find a fruit truck. The fruit is farm fresh and much, much less expensive that at the grocery store. Today we drove into Ixtapa when we were done with our training and found a truck selling Papayas, Pineapples, Watermelons, Mandarin Oranges, Apples and Cucumbers. As we were picking our fruit I was reminded of the first time we bought fruit on the side of the road on our way into Puerto Vallarta…. 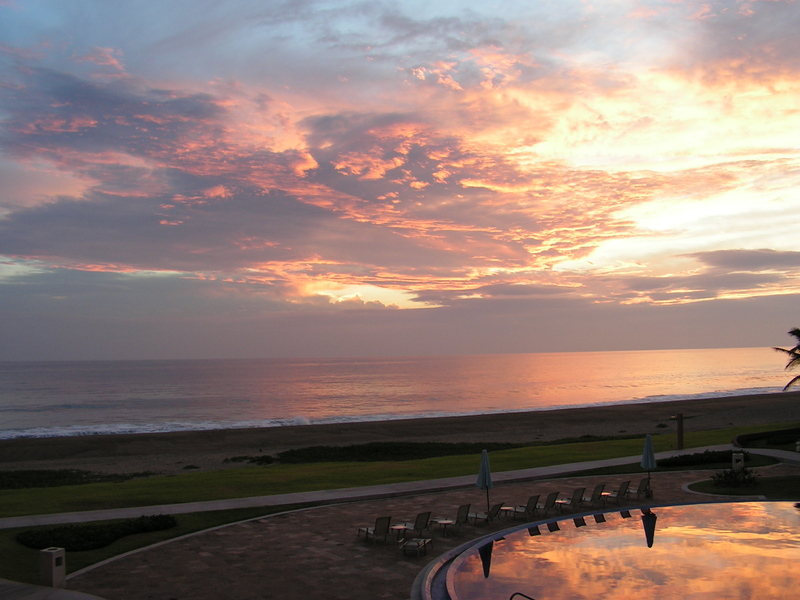 November 16, 2008 – We were up early at the City Express Hotel in Mazatlan. Breakfast was included in our room so we loaded up the car and headed to the lobby to chow down. The hotel was new and they were still working the kinks out so we had to wait a bit for them to get everything out but the coffee was ready so we were able to enjoy a cup. All fed and watered we were in the car trying to find our way out of Mazatlan. The GPS worked wonders and that was a good thing because while I am not normally directionally challenged I certainly was in Mazatlan. I would have gone in totally the wrong direction! However the GPS rescued us and we made the right turn and ended up on the road out-of-town. It was a beautiful morning. The sun was out and it was 24 degrees at 7:30. This was the nicest morning we had on the entire trip down. It was a perfect start to the day we arrived at our new home. In Mexico they build the bridge before they need it! It did eventually change back to a 4 lane but that did not last long, only about 50 kilometers and then it was back to the 2 lane. 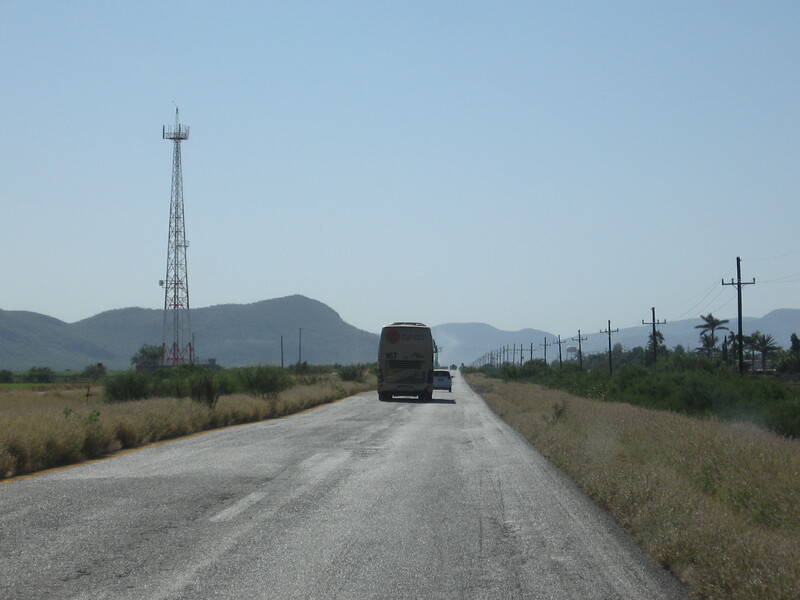 A 2 lane that began to climb about an hour out of Tepic, Nayarit. It did not finish climbing until we got to Tepic. 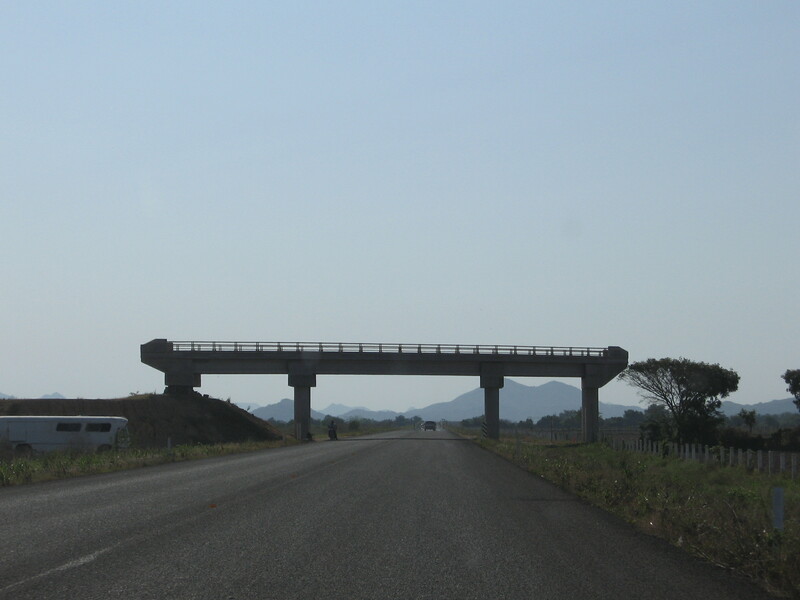 The other problem with this toll road was that it was no longer straight. It turned here, it turned there. It was like a road race set except you don’t find buses in a road race set going 110 on a twisty turny road. It turned out the road was still under construction so being as it was two years ago maybe some of the curves have been ironed out or at least maybe it has been twinned. 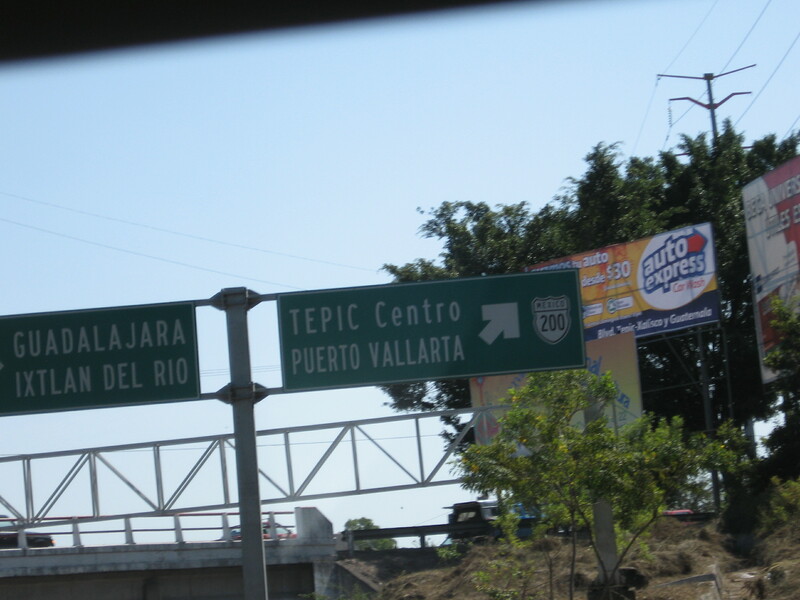 We were quite happy when we got to Tepic as it was the final major center on our journey. 161 kilometers to go. That won’t take long. It was about 11:30. The GPS was telling us that our arrival time in PV would be 4:00 pm. What the heck? It was 161 kms. No way. Even allowing for the time change from Mountain to Central, that is still 3 and a half hours. It must have miscalculated. 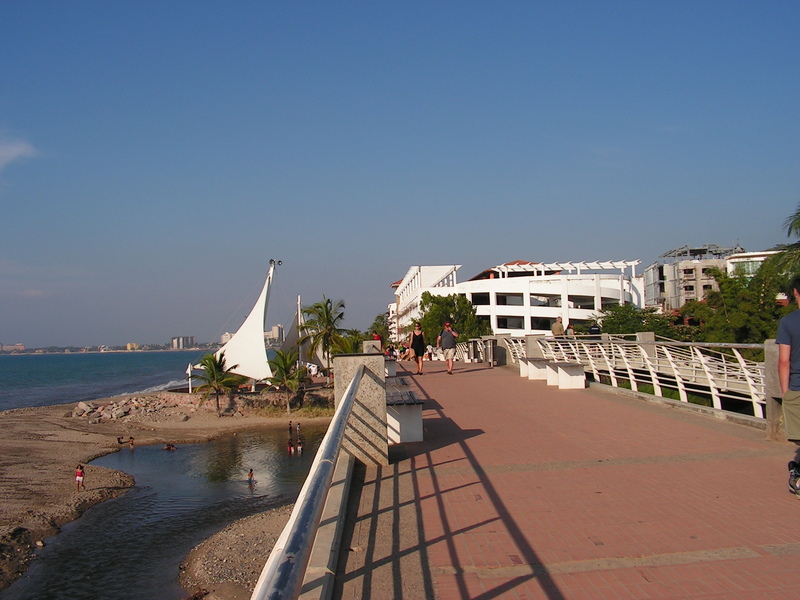 So we left Tepic knowing that we will be in Vallarta soon. Certainly well before 3:00 pm. It was then the highway got narrower and hard to believe, twistier! The speed limit was 60 kph and I could not get to it. It made the Trans Canada Highway outside of Golden, BC look like it was straight as an arrow. To top it all off most of these corners were on cliffs where Heather was looking straight down. Did I mention the buses who were riding my bumper. Cars were passing on the 75 feet of straight highway between corners. Needless to say we started to drive even slower as we had not driven this far to go over the side of the cliff. Luckily there are little pull outs on the side of the road here and there where you could escape to let people by. 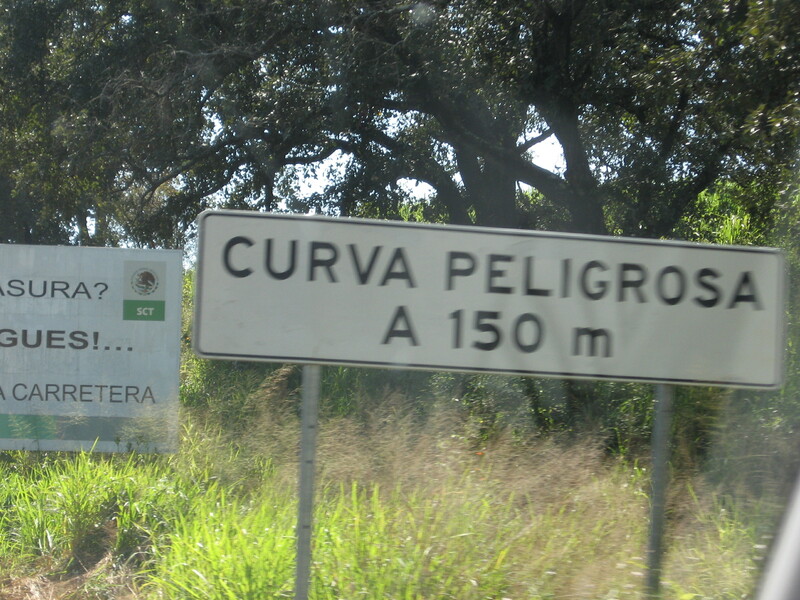 Dangerous curve, no FREAKING kidding! While the driving was hairy, the scenery was spectacular. We thought it might be similar to the Alps with the lush farming fields in the distance and views that went forever. It was beautiful. 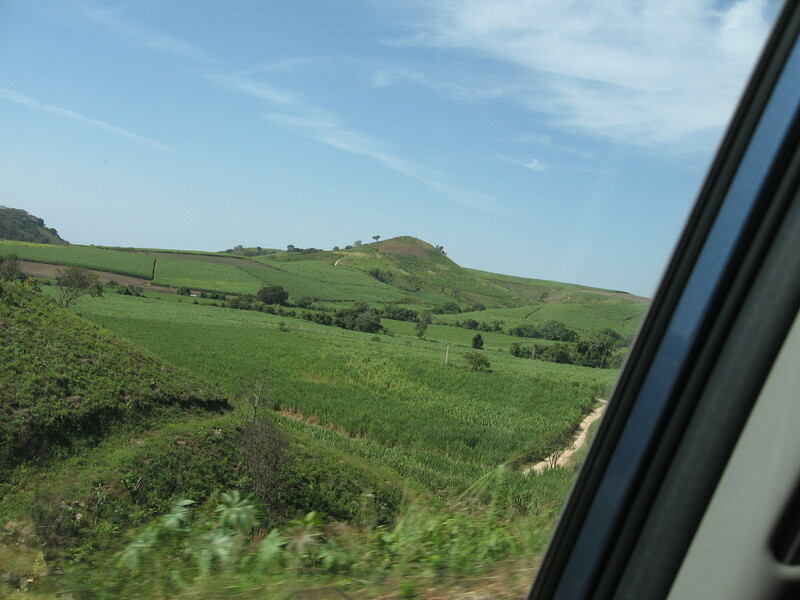 However, I was ever so happy when we came off the hills down into the town of Compestela and the road flattened out. We stopped at an Oxxo store and picked up some drinks and junk food for the rest of the drive. Evidently the GPS was going to be right and we would have another 2 hours on the road. It took us an hour to go 31 kilometers. We still had 130 to go. The drive did not get any less pretty. Rainy season had just ended a few weeks previous and the jungle was lush and spectacular. There was a canopy of trees and vines over the road. Really cool. 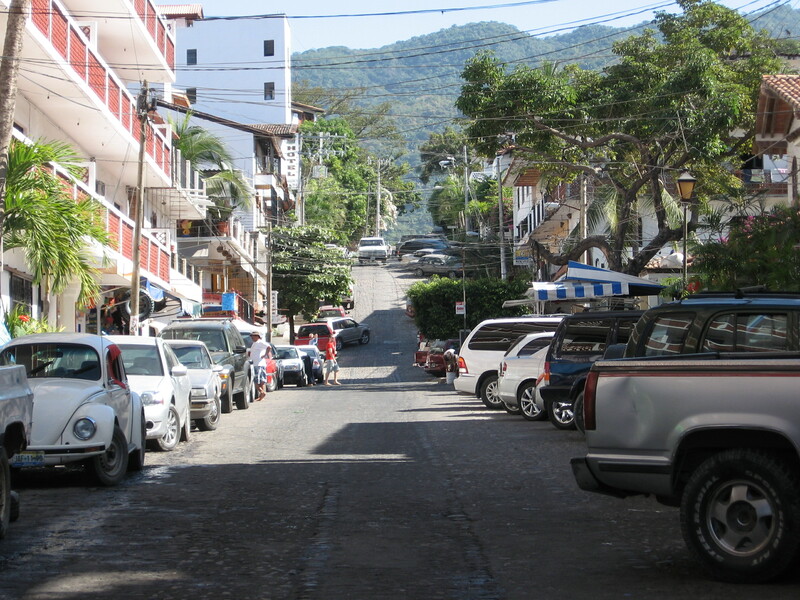 As we moved towards Puerto Vallarta we started to see fruit stands on the side of the road. After passing about 30 of them we finally stopped at one. The woman and her daughter who ran it were all over us letting try this fruit and that fruit, many we had never seen before. Some was ok, some would be an acquired taste. But one thing that was purchased was a Pineapple. 10 pesos for about 2 kilo pineapple. She had given us a taste of one they had cut, oh so sweet and juicy. I had never tasted one so good so it was a no brainer, a pineapple for a buck. We had to buy it. Hopefully it will be as good as the one she gave us. 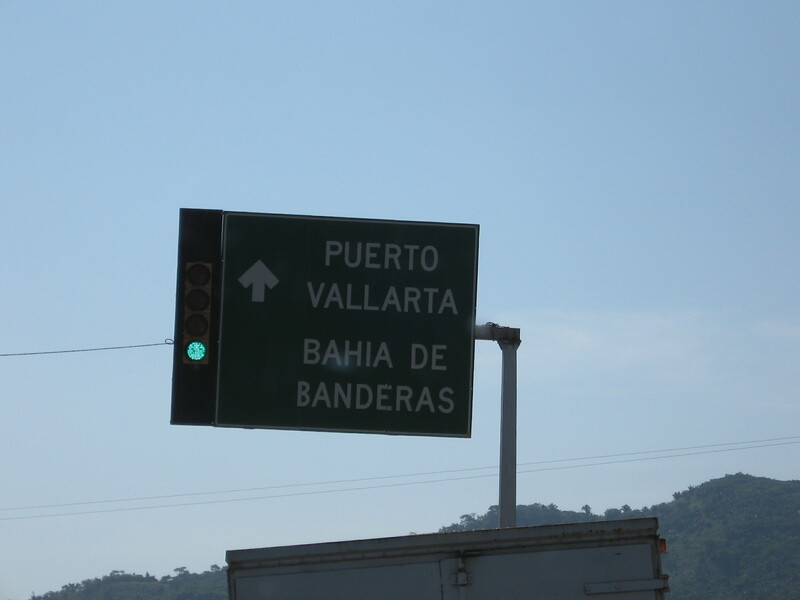 It was about an hour later when we saw the sign for Sayulita, Nayarit. Something familiar, finally. 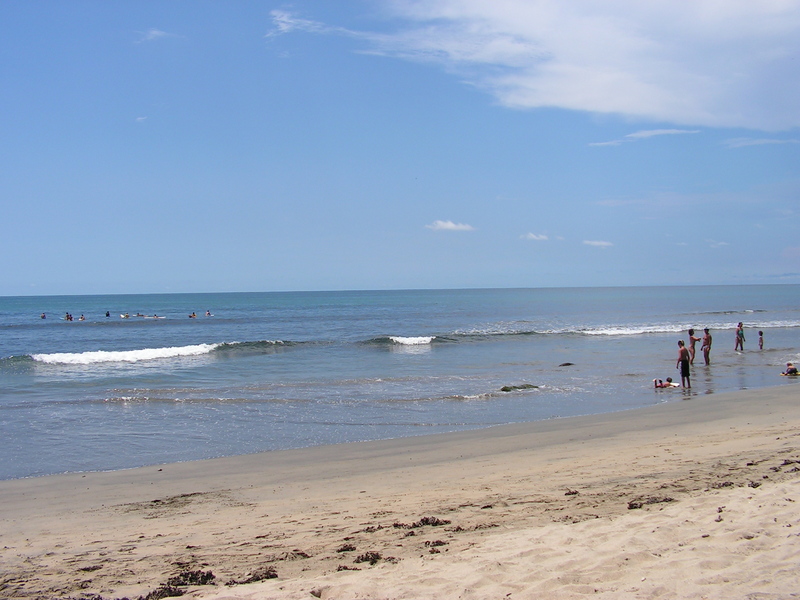 We had visited Sayulita in 2006 when we were in PV with my kids. A beautiful little beach town. With nice gentle surfing waves it is a very popular place and gave us a very California in the sixties kind of feeling. A nice place to spend a Sunday. The final push, 30 kilometers left. Over a mountain. Lots of traffic but it was slower as the climb made it difficult for trucks and buses to move fast. The next thing we knew we were thrust out of the jungle onto the four lane highway by La Cruz de Huanacaxtle. We had made it. 4 lanes all the way now. What a relief. 20 days after we had left Edmonton we had finally reached our destination! We drove through town finally starting to relax until we pulled into the area where our condo was located, Plaza las Glorias. Now the fun part, finding a place to park. Our condo was in a retail, office complex that was surrounded by 3 hotels. It was a busy area so parking could be a premium and it was this day. We finally found a spot in the middle of the street and started the unloading process. We stood in our kitchen (20 square feet of kitchen) and surveyed the living room. It was packed with stuff. Well what should we do, unpack? Nope, off to Casa Blakes Sports Bar to say hi and have a well-earned cerveza! Time for a well earned Corona! 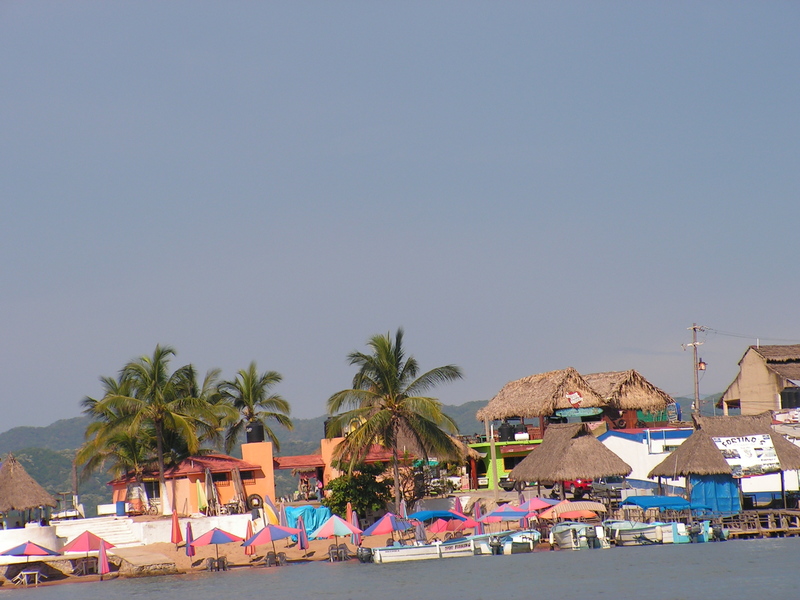 Author Kevin WoodPosted on December 7, 2010 Categories Starting new lifeTags Mandarin orange, Mazatlan, Mexico, Nayarit, Puerto Vallarta5 Comments on The Journey to Casa Madera – Puerto Vallarta, our new Home! The Journey to Casa Madera – Hey, Who washed my car? 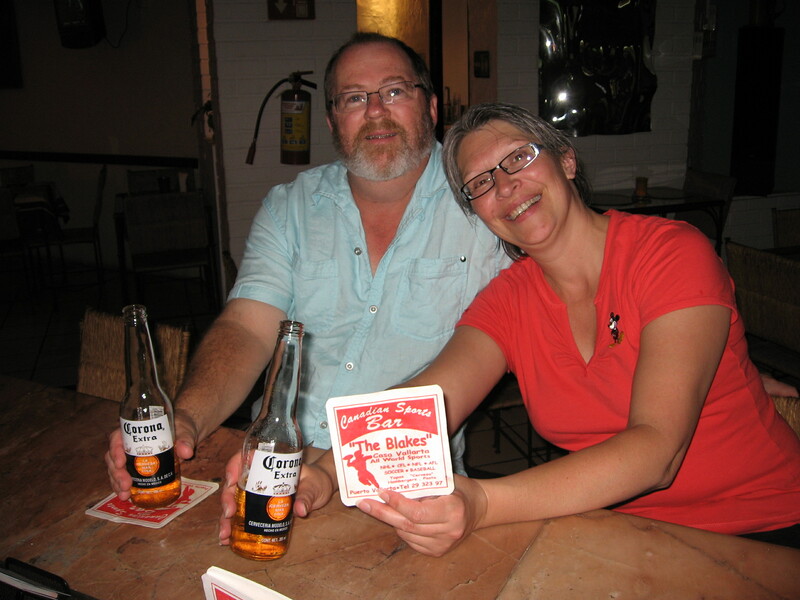 December 1, 2010 – We had guests last Friday night, Ray & Jan from Sherwood Park, Alberta. They are friends of friends of ours. They were staying the night on their way to Barra de Navidad for a week with their friends who were due to arrive on Saturday. We have been using our Jeep for many things like picking up cement, sand and other building materials while we renovate our house. Generally this occurs about 5 minutes after I have had the car washed, much like the one cloud in the sky that immediately rains on the car when you are not looking. The problem with transporting these items in the back of the Jeep is that sand bags leak so sand gets all over the back of the car. We were picking Ray & Jan up at the airport, so a complete wash of the car inside and out was required. So off to the Eco Car Wash I go. For $75 pesos they do the complete wash, vacuum and dry. As they do a very thorough job it takes them about 45 minutes so I normally take my book and retire to the tables with the umbrellas and have a cerveza. This day I was having a difficult time getting into my book and was distracted. I was remembering my first Mexican Car Wash in Ciudad Obregon a couple of years previous. November 15, 2008 – 7:14 am 16 degrees Celsius warming up! – We had a relaxing evening in a nice hotel with comfy beds. We slept well but we are both early risers and were awake at 6:00. 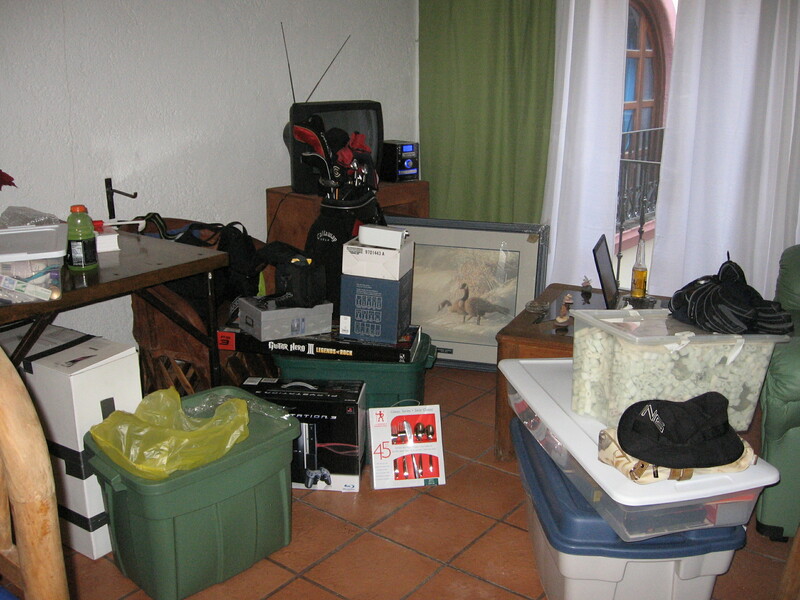 We strolled out of the room and started packing the car for the day’s drive to Mazatlan, Sinaloa. As I was standing by the car making space for Heather’s Mac I noticed that my windshield wipers were folded out. Hmm that’s odd I thought. It was then I noticed that I was standing in water. That was even odder as it did not rain during the night, there were no sprinklers on and there was no other evidence of water on the ground except by our car. What the heck? It was then I noticed a small Mexican man coming towards me with a bucket. It appears he was in the middle of washing our car and went to get more water. He was talking to me in Spanish so I was lost after he said Buenos Dias. However I soon realized he was bound and determined to finish the job he started but could not get to the roof so he had gone to get another bucket to stand on. He proceeded to finish the wash. I was lost. What the hell do I do? Do you pay him? Is he paid by the Hotel? Do you tip him? What? I noticed at that time that quite a few cars in the parking lot had their wipers up and realized that it was the sign to wash the car. So either someone had done it for us or he saw the Alberta license plates and did it himself. He did a great job. The outside of the car was spotless. He rinsed, washed with soap, rinsed and hand dried. Neither Heather or I knew what to do so I handed him $20 pesos as I tip. He smiled and said gracias so we figured it must have been ok. I have been to a few car washes in Edmonton who could learn a lot from this old Mexican on how to actually wash a car. We checked out of the hotel and decided to forego the hotel breakfast and hit either McDonald’s or Carls Jr. on our way out-of-town. This was a tactical error. It was Saturday and we were used to places like this being open at 6:00 or at least 7:00 am. Not so in Ciudad Obregon. The signs said they would open at 9:00. Now what do we do? Luckily we had a cookie left over from the day before so we decided to just grab a cup of coffee somewhere and hit the highway and catch some chow in Navojoa, Sonora. Out of the city we came up to the toll booth. We had decided to stick to the toll roads or Autopistas as they call them here. They are straight, in great condition and generally divided with two lanes. And did I mention straight. There are a few sections that make the QE2 between Edmonton and Calgary look too twisty. We got to Navojoa and found nothing that was close to what we wanted for breakfast but we did find a Soriana. Soriana is your standard supermarket like Safeway. We wandered in and looked around. We picked up some Yogurt drinks, some mandarin oranges and starting looking for something that would fill the gaps. They had a large hot food section at the back of the store but we had never bought anything like that before in Mexico so we really did not know what to do. It was 9:00 am so the store was still deserted. We were hoping we could just hang back and watch to see what the other shoppers did but there were none! We finally just got over it and went up to the counter. We still could not figure out what to do but a woman came over and realized that she was dealing with two twits from Canada and served us. Apparently you ask for a container, grab the tongs, take out what you want and hand it to her for labelling. Well now we know! We purchased 4 pieces of Fried Chicken. Yep, Fried Chicken. We did not recognize anything else in the case so we went with what we knew! Off to the checkout we went. 46 pesos later we grabbed our chicken, yogurt drinks and mandarins and headed out to the car where under the watchful and curious eye of the security guard we ate breakfast. Now I realize we were hungry but that Fried Chicken was phenomenal. The chicken had flavour, it was delightful. The security guard looked relieved when we started the car and drove out of the parking lot. Back on the highway. Another toll road. Nice. Speed limit 110. Locked the cruise in at 110, lord knows we don’t want to be stopped. We were the only car going 110. The average speed was running between 130 and 140, even the buses! Worse the buses would drive down the center of the road, only moving over to pass another vehicle. It was a little nerve-racking but I had driven the old 79 Dodge Motorhome on the QE2 I was kind of used to being passed. Note the total lack of anything that might resemble a shoulder! 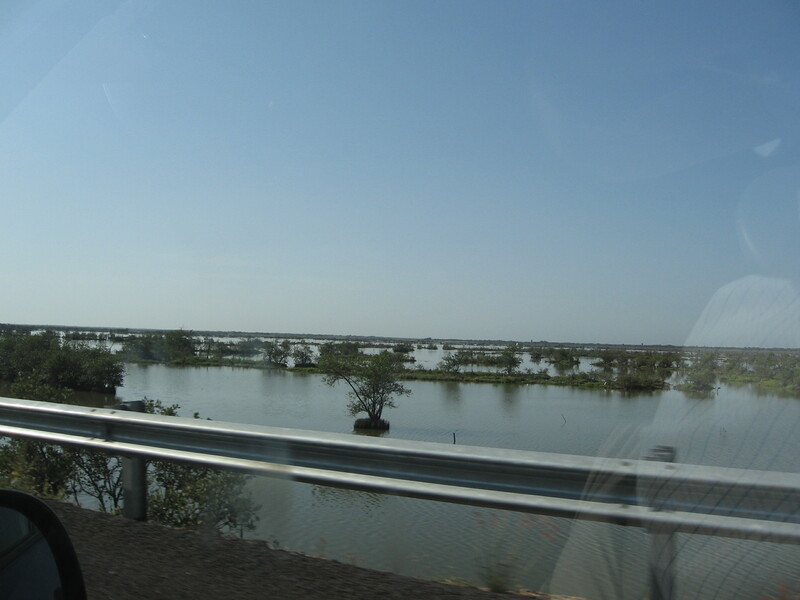 As we moved through Sonora into Sinaloa the terrain began to change. Sonora was high desert for the most part but we never really noticed the downhill as we started to level out from ranch style land to farm land. 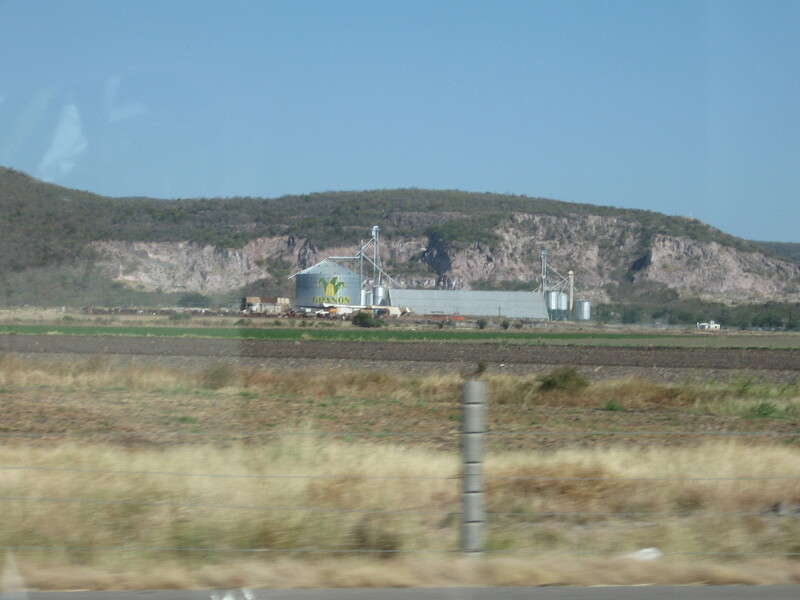 Sinaloa is a farming state. There were greenhouses everywhere made of plastic. Tomato’s are their major crop, so much so that they have a tomato in the middle of their license plate. It appears that most are grown hydroponically hence the green houses but there are also many areas where the plants were in the ground. One thing that startled us was the fact that people just came out of nowhere. We were clipping along at 110 kph and all of a sudden a man would appear out of the grass in the ditch. Never locked up the brakes but it certainly gives the heart a stop! Aside from the odd person wandering out of the ditch it was an uneventful day and we rolled into Mazatlan at 4:00 pm. Found a City Express hotel with a nice room with a pool and breakfast for $67.00 Can. 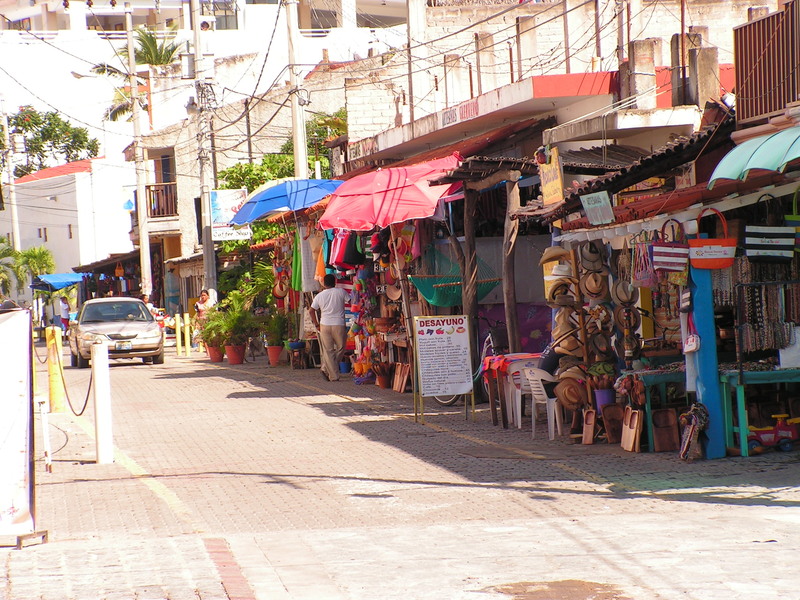 It was 4 months old and very close to the tourist zone in Mazatlan so we cleaned up and headed out to see the town. We were not ready for dinner yet and just wandered. After wandering for a couple of hours and looking at hundreds of menus we decided to go eat at the next restaurant we stopped at. The menu looked good and it was coming off of a wood grill. We sat down and I ordered a beer. “We are not licensed so we do not serve it” I was told. “You can go to the store and buy some if you like and bring it in”. Say what? I bring my own??? That was new one to me. I could not shake that Canadian feeling that there was just something wrong with that so I ordered a Coke. Ahh, Coke in an ice-cold glass bottle. I had forgotten about that. There is no better Coke than one that comes out of an ice-cold glass bottle so I did not miss the beer! It was then we spied another group of tourists in the place who were uncorking the bottle of wine they brought. They obviously knew the drill and had been here before so the food must be good. And it was. Oh it was tasty. It was the best dinner we had on our travels over the previous 3 weeks. Nothing even came close. It was pretty amazing for a restaurant that only had walls around the kitchen and whose roof was vinyl Coca Cola awning. We retired back to the hotel looking forward to the last day of our journey to Puerto Vallarta and the day our lives would totally change. Author Kevin WoodPosted on December 1, 2010 Categories Starting new lifeTags Business, Car wash, McDonalds, Mexico, Soriana2 Comments on The Journey to Casa Madera – Hey, Who washed my car?